IN the middle of June 1916, as the final preparations took place for the Big Push, the weather in France became miserable. 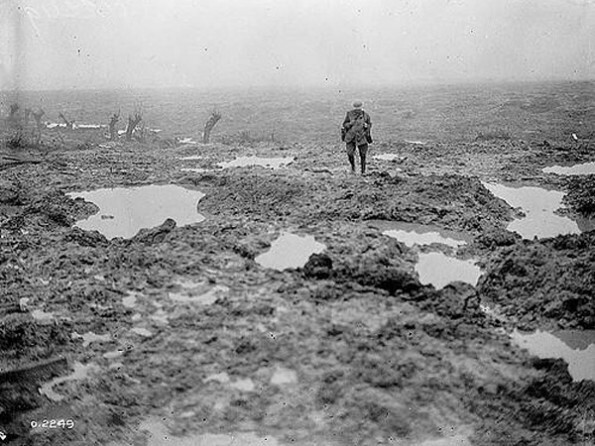 Day after day it rained, filling the trenches with standing water and turning the battlefield to mud. Dug into their trenches outside the small town of Courcelles in northern France, and under regular bombardment from German artillery, the 18th Battalion of the Durham Light Infantry endured a miserable month. After weeks in the reserve where they daily rehearsed their part in the coming attack, the Durham Pals – the volunteers from towns across the country who had responded to Lord Kitchener’s “your country needs you” request at the start of the war – moved forward on June 4 to just behind the frontline. With enemy fire targeting the village, the Pals lived in trenches on the outskirts and took part in working parties bringing munitions and supplies up to the front for the imminent assault. The foul weather now added to the constant danger. Corporal Wilf Barker wrote: “Rain in wartime is a punishment of which you can form no idea. When it starts, you can do nothing but shiver and shrink and you must carry on. But all the while, the great build-up of men and weapons went on in as the calendar moved inexorably towards July 1, and the start of the great Battle of the Somme, which would prove to be the Durham Pals’ date with destiny. Although the enemy was aware that something was being planned, the British still tried to do as much as possible under a cloak of secrecy. In his war history of the battalion, Lieutenant Colonel William Douglas Lowe wrote of these days exactly 100 years ago: “By this time, the whole countryside was stiff with high-velocity guns. “Naturally, all these had to be hidden and a bird’s eye view of the country gave the impression of a series of large mottled tortoises sprinkled freely about.